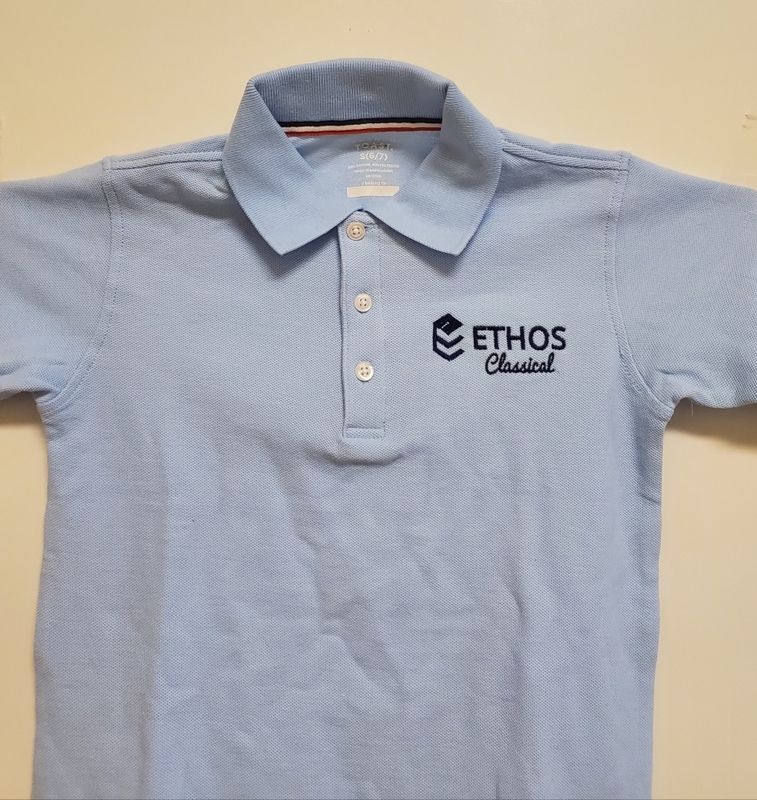 Ethos light blue polo shirts come in a short or long sleeve variation. Toddler sizes are $11.99 and youth sizes (XS) - (XXL) are $13.99. Long sleeves are $1 more.